It’s tedious work, but I’ve really found that doing it this way has increased my accuracy so that my points are actually pointy! And who doesn’t love that?! 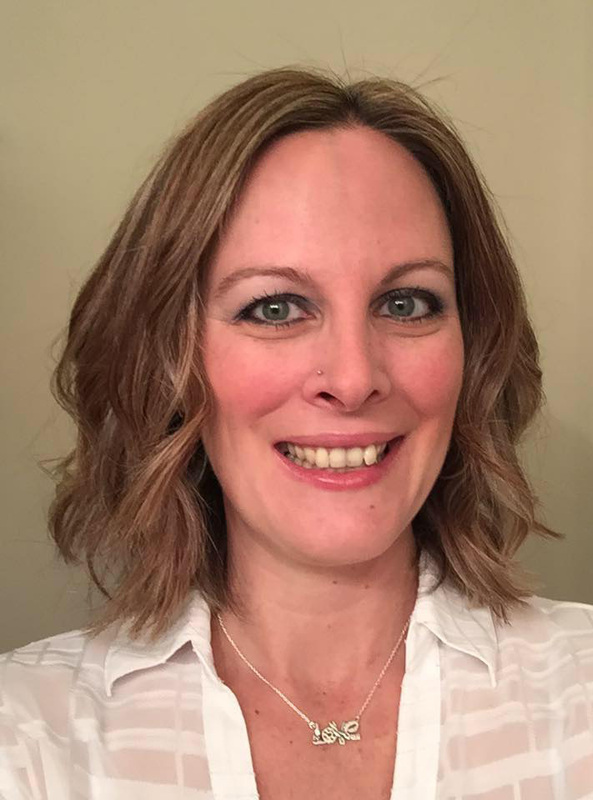 It took me a while to really perfect my trimming technique, so I thought I would share it with you to save you some time and frustration. No, bigger! I add 1.25 inches to the finished size I want: so if you want your HSTs to finish at 2 inches, cut your squares 3.25 inches. I find this gives me plenty of room for mistakes or ruler wiggles while I’m cutting. Once I have my squares cut, I draw a line from corner to corner. 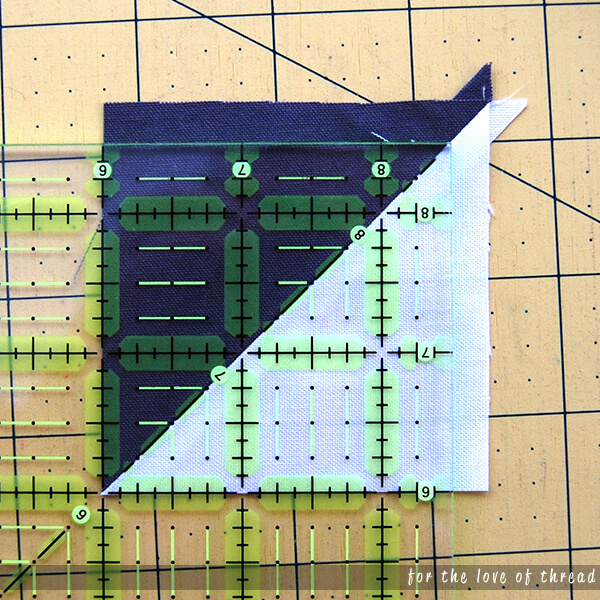 You’ll sew a quarter-inch on each side of this line, but first… I know I say to never use your ruler marks on your cutting mats because they’re notorious for being inaccurate. But I find they really help when drawing my lines. I line up each corner along one line, set my ruler on top just to the side of that line, and draw with my fabric-safe pen or pencil. By lining the ruler up just to the side of the line, you’re making room for the pencil mark. 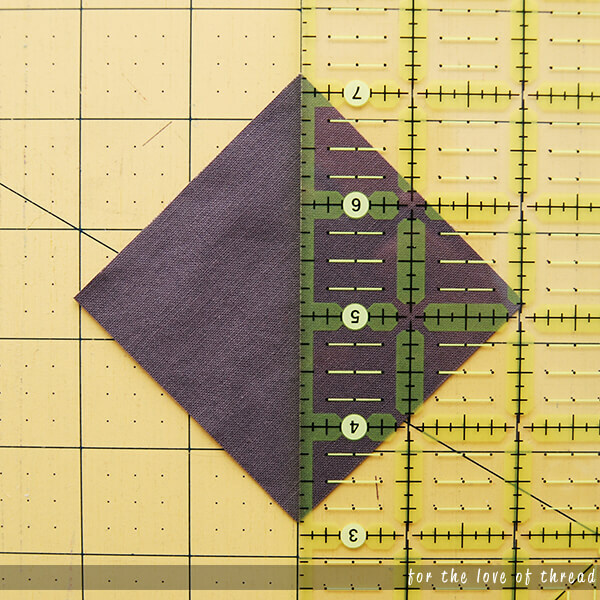 After you’ve sewn along the line you drew in the step above, cut the squares apart along that line, and pressed open your half-square triangles, you’re ready to begin trimming. To keep your diagonal line perfect, you’ll need to trim in two parts. Line up the 45-degree angle line on your ruler to the diagonal line in your square. I like to get as close to the edges as possible on this first trim. That way I can try again if the ruler wiggles; I’ll still have plenty of room to try again. Once you’re all lined up trim along the side and top, basically cutting off any fabric sticking out from under the ruler. Once everything is lined up, trim off the excess fabric along the top and side. Turn the block over. 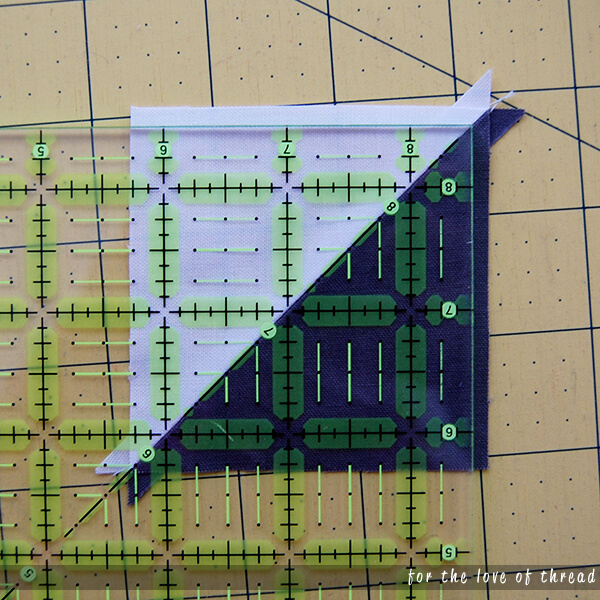 Now you’ll line up the block with the 45-degree line on your ruler and the 2.5-inch marks for your finished square. Once you have everything lined up, trim off the fabric from the top and side again. There’s not a lot of room for error on the second trim, so be sure everything is right before you cut. Once your block is lined up on the diagonal line and to the size you want your square, trim off the top and side. You should now have a perfectly trimmed half-square triangle. 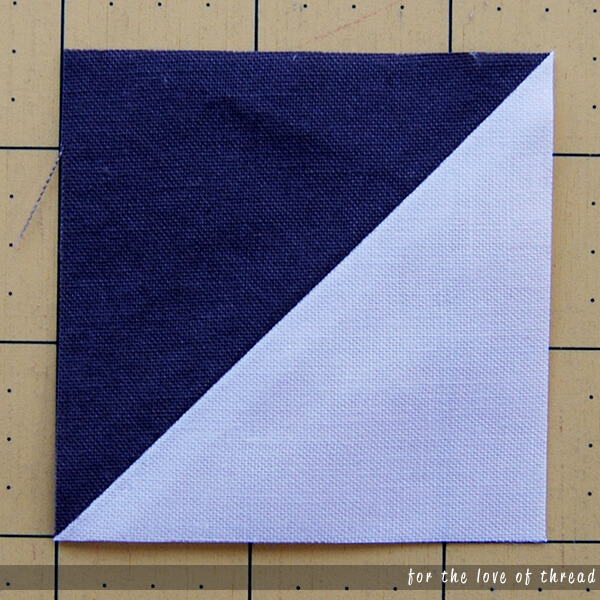 This method can be a little tedious, but it’s still one of my favorite ways to trim perfect half-square triangles! What’s your method?